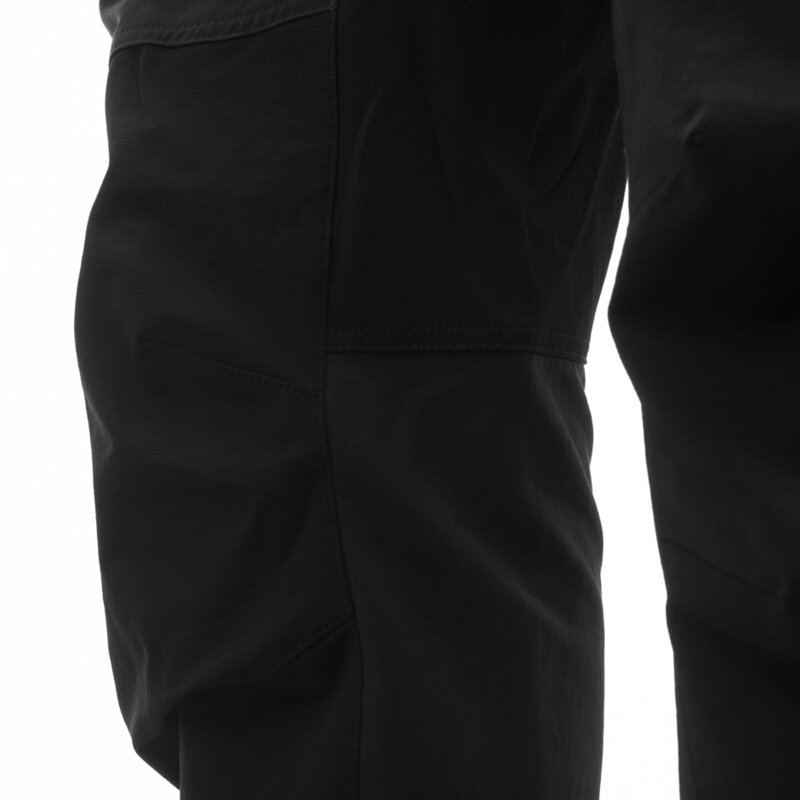 The fjørå flex1 Pants were initially designed for mountain biking, but soon grew to be a favorite for a variety of outdoor activities. 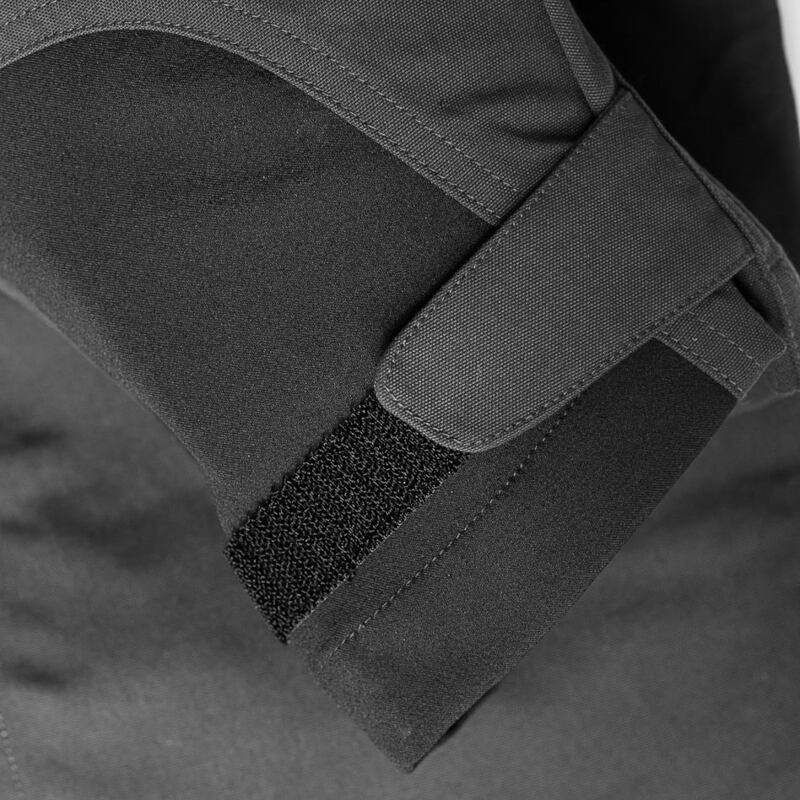 This new and improved men's version is lighter, more durable and provides better breathability than the previous generation. 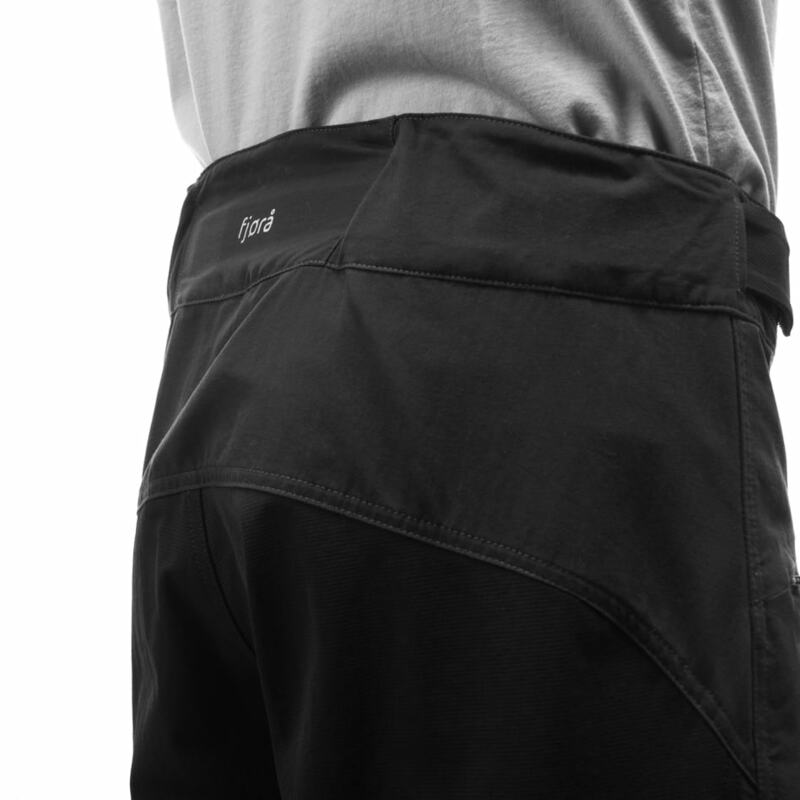 Due to the durable and flexible flex™1 fabric with reinforcement on the knees and seat, they have a great range of movement and will keep you sealed while biking or when the wind increases. 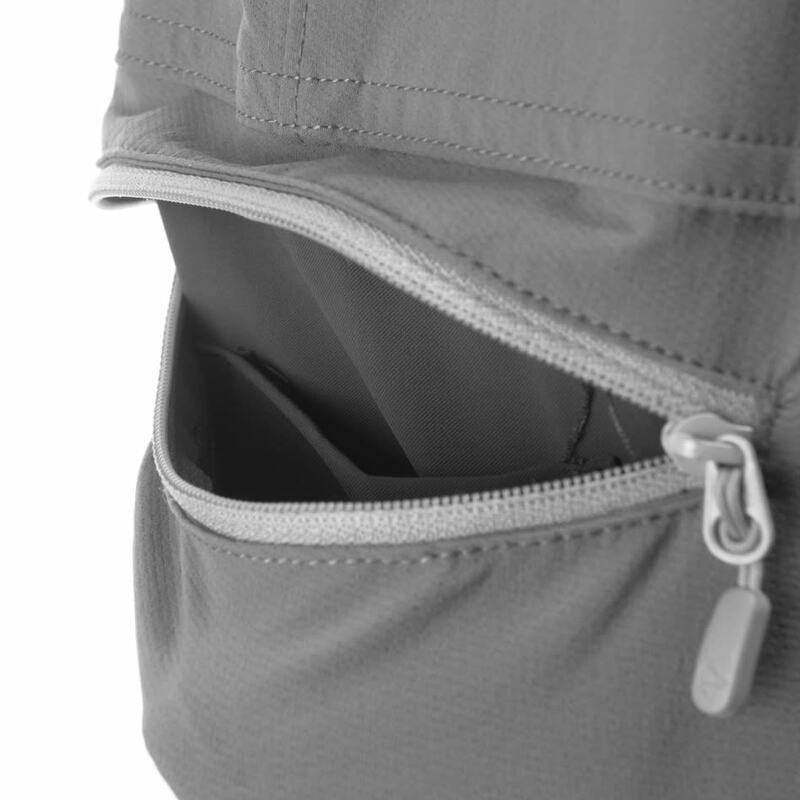 It has two hand pockets, a thigh pocket and silicon grip in the waist band to keep the pants in place. 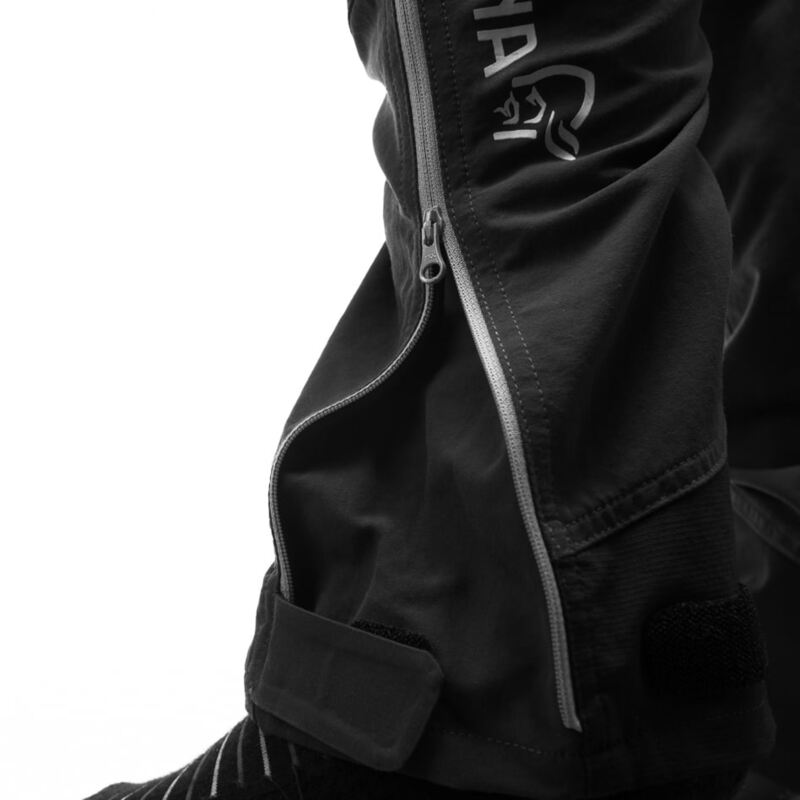 Other features include mesh venting, leg zippers and ankle tightening for a slim fit. 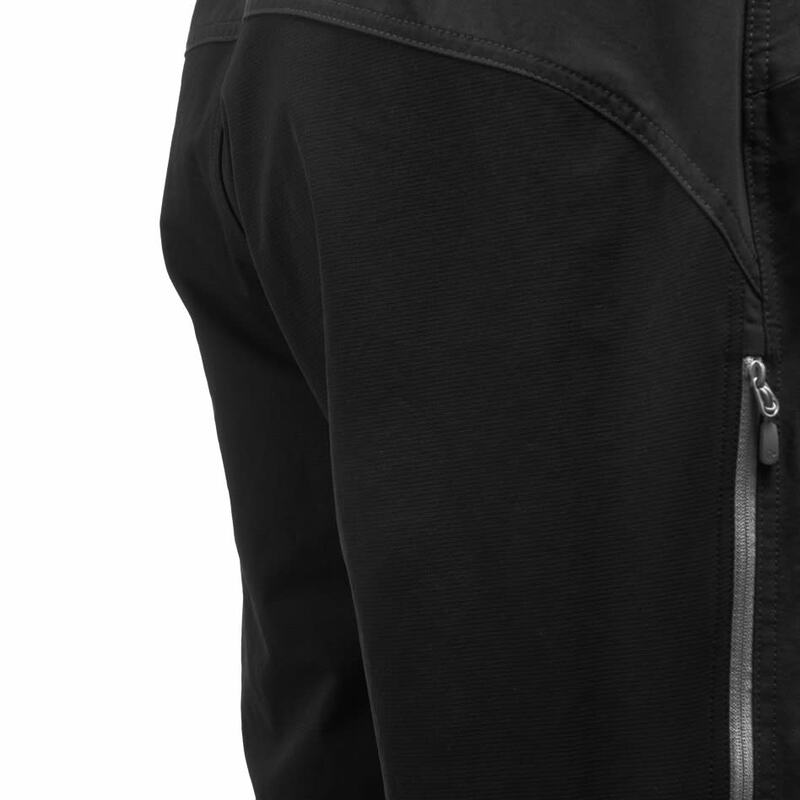 The flex1 fabric is water repellent. 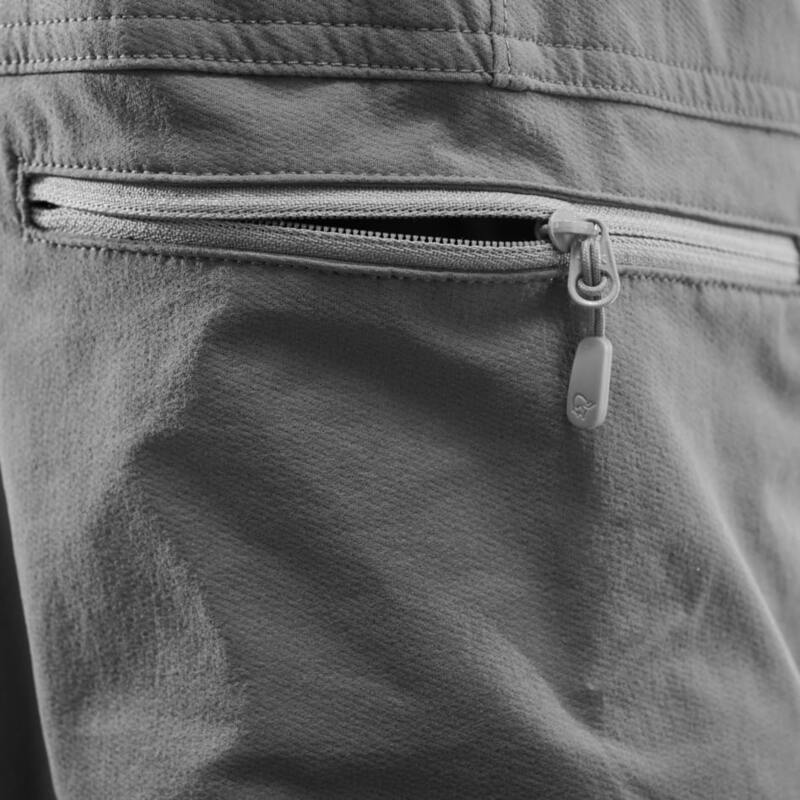 Inside leg length in size L = 86 cm. 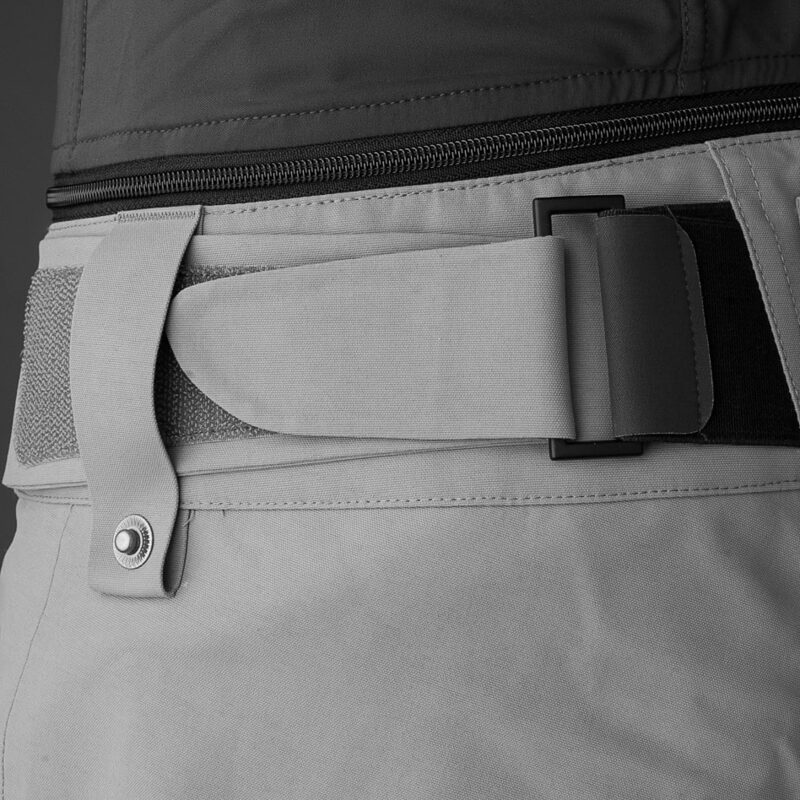 In the waist you find a line of silicon, which makes the pants not slide down when doing activities.